There was a bit of a media frenzy a couple of years ago when a small number of schools dropped out of the federal school lunch program. 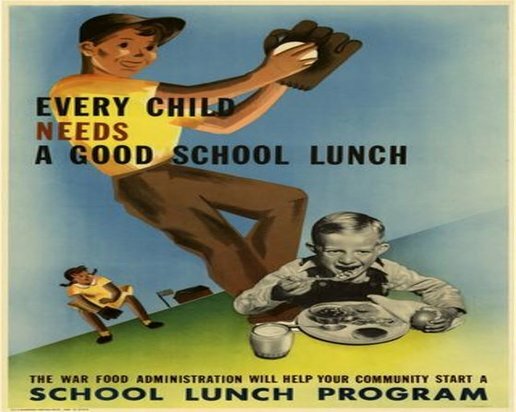 The schools, located in areas with few poor students, claimed that new healthy food regulations were driving kids from the cafeteria, generating more waste from those students who did continue to buy lunch, and pushing school meal programs into the red. Perhaps the most widely-read coverage of the issue was an August 2013 article by the Associated Press describing why three school districts (two in New York, one in Illinois) were leaving the USDA’s National School Lunch Program. The NSLP provides government payment for student meals based on family income – about $3 for the poorest students, but even the wealthiest student’s lunch is underwritten by a government subsidy of 34 cents, assuming the school district complies with all of the NSLP rules. Despite the early fanfare, there has been little follow up on those three “early adopter” school districts from the AP article that chose to forego federal funding in 2013 in exchange for freedom from federal meal rules. It’s time to take a good hard look at what happened in those school districts. The implication of the article was that, although the travails of only three districts were profiled, a significant number of schools nationwide were dropping out of the NSLP. That idea was immediately challenged by Becky Domokos-Bays, director of food and nutrition services for Alexandria City Public Schools in Virginia, who was at the time the nutrition committee chair for the School Nutrition Association (SNA), the 55,000 member organization of school food professionals. She said that the headlines were overblown. Even though there was no stampede of schools dropping out, a few small school districts including the three mentioned in the AP article did, indeed, leave the NSLP in 2013-14, believing they could attract more students to the cafeteria, and significantly reduce or eliminate their budget deficit (even absent government funding), by planning their own menus free of government rules and regulations. Typically such schools, which serve predominantly higher income populations, continue to offer free or reduced price meals to the few students who qualify for them, and simply absorb that cost. So how’s it working out for those schools? Having shaken off the shackles of government, did kids flock back to the cafeteria in droves to gobble up their rule-free lunches, and send cafeteria revenues soaring? Let’s take a little tour and find out. First stop – NY’s Capital Region, where the AP article identified Voorheesville Central School District as an early dropout. So did other media outlets. “In November, the Voorheesville school district [outside Albany NY] became the first in the state to drop the federal lunch and breakfast program, and the change could signal a growing movement to shed food service mandates,” trumpeted a January 2013 article in the Albany Times Union. The district superintendent complained that in the first three months of the 2012-13 school year, complying with federal meal rules had already caused a loss to the meal program of $30,000. The following year (2013-14) the Voorheesville school district, where just 8% of the students are qualified for free or reduced price lunch, ran its own meal program exempt from federal regulations. But even offering the additional meat and “creatively served” vegetables that the superintendent felt were essential for student acceptance, the losses continued. With little fanfare, the district returned to the NSLP at the start of the 2014-15 school year. Not far away, the Burnt Hills-Ballston Lake Central School District near Schenectady, was also mentioned in the 2013 AP article as an “early adopter,” having left the NSLP at the start of the 2013-14 school year. Only 11% of the district’s approximately 3200 students qualified for free or reduced price lunch. According to their website, the BH-BL school nutrition program lost about $100,000 during the 2012-13 school year, leading to the decision to go it on their own. Yet a close look at the district’s 2015-16 proposed budget shows (on page 23) an expense for a transfer of district funds into the school lunch program, to the tune of $159,212 for the 2013-14 school year (the first year after BH-BL opted out of the NSLP) even though $0 had been budgeted for subsidizing the lunch program that year. That represents a loss 60% higher than when BH-BL operated under the NSLP. The 14-15 budget called for a $90,000 transfer into the meal program. So is BH-BL really better off going it alone? “Districts that rejected the program say the reimbursement was not enough to offset losses from students who began avoiding the lunch line and bringing food from home or, in some cases, going hungry. For the 2013-14 school year, Catlin, where just 15% of high school students qualify for government paid meals, decided to drop out of the NSLP. But during its first year of operating outside the federal program, the tiny school district serving about 500 students did no better financially. Catlin School District spent $151,385 to run their food services department in 2013-14, but the department only had revenue of $123,000 (a loss of $28,385) according to their 2014-15 budget. Dropping out of the NSLP saved Catlin a grand total of just over $1,600. It’s not looking like dropping out the federal meal program has worked out all that well for the early adopter school districts, but what of those who went out on their own more recently? Onward, to Minnesota, where the largest high school in the state, Wayzata High, is located in a suburb of Minneapolis-St. Paul. Wayzata has just finished the first year of a two-year pilot to see if the school can recoup on their own some of the losses they say they incurred under the federal rules in 2013-14. Only the high school has left the NSLP; Wayzata’s middle and elementary schools have stayed with the government program. Wayzata High has around 3300 students, of whom about 12% qualify for free or reduced price lunch, according to the most recent data from the Minnesota Department of Education. Soon after school started last fall, a student nutrition department supervisor for Wayzata Public Schools reported that lunch participation was up 250-300 students at the school, thanks to the new, government-rule-free lunch program. That increase in the number of kids eating would be encouraging – if it continued. Final figures on revenue and expenses for the current school year’s lunch program are not yet available. However, a June 3rd article in the Minneapolis Star-Tribune reports that losses continue (although somewhat less) and that, over the course of the full year, the number of students choosing school lunch, now that larger portions and more calories are being served, increased only 2%. That 2% increase represents less than 60 students at the 3300-student school, a substantial drop from the earlier rosy picture of 250-300 more students eating, and not enough to make up for the 9% who reportedly dropped out of the school meal program in 2013-14. In other words, for whatever reason, some Wayzata kids stopped eating school lunch in 2013-14, and the triple-size portions of macaroni and cheese that their food service director says she is serving (now that federal rules don’t apply) have not been enough to attract those kids back. Part of the problem at Wayzata may be that, in an attempt to generate more revenue (in the absence of government funding) to cover the cost of providing free and reduced price meals to the 12% of students qualified to receive them, the district raised the price of a paid lunch at the school by 25 cents. But it is well-known that increasing the price students must pay for their school lunch always causes a decrease in the number of kids who will buy that lunch. A general rule of thumb used by student nutrition directors is that every 5 cent increase in price leads to a one percent decrease in participation. Some of those students who drop out of the lunch program will bring their own meal from home, meaning less revenue for the cafeteria. Others, especially those whose family income is low enough to qualify them for reduced price meals, but who (due to pride, ignorance of the program, a recent drop in family income, or simply failure to submit the form) did not apply for those benefits, may for the first time feel the need for assistance. When paid prices rise, some of these students’ families will in fact apply for, and qualify for, reduced price meals, leaving Wayzata to cover most of the cost of the meal which previously would have been paid by the NSLP. Wayzata will be reassessing their decision to leave the NSLP at the end of the 2015-16 school year, according to the Star-Tribune article, which notes that another Minnesota school, Byron High School located west of Rochester, is also losing money after leaving the NSLP. The business manager for Byron High blames the loss on rising food costs. But Byron’s food costs are rising partly because when schools drop out of the NSLP, forfeiting government funds, they also forfeit the commodity foods that the USDA makes available to NSLP schools. These foods, which include meat, poultry, eggs, cheese, vegetables, fruit, grains, and more, are offered to schools at a much lower cost than they would pay on the open market. So when schools walk away from those low cost commodities, is it any wonder that they see their food costs rise? Perhaps there are some schools – somewhere – that are simply rolling in money since bailing on the federal meal program. It does seem intuitive that if schools could serve whatever students wanted, the kids would buy it. But based on the results from the early adopter schools, it appears that sacrificing government funding for school meals in exchange for freedom to serve whatever, is not a recipe for financial success. Dana Woldow has been a school food advocate since 2002 and shares what she has learned at PEACHSF.org. Follow her on Twitter @nestwife, or read more than 140 characters of her writing in her complete archive. Dana Woldow advocates for policies, including soda taxes and better school meals, to improve the health of all children through better nutrition and education. She has been a leader in improving school food in San Francisco since 2002, when she formed a school nutrition group to run a pilot removing junk food from SFUSD's Aptos Middle School, where her children were students; the pilot was expanded to all of the city's public middle and high schools in 2003. She served as co-chair of the SFUSD Student Nutrition and Physical Activity Committee from October 2003 to June 2011.